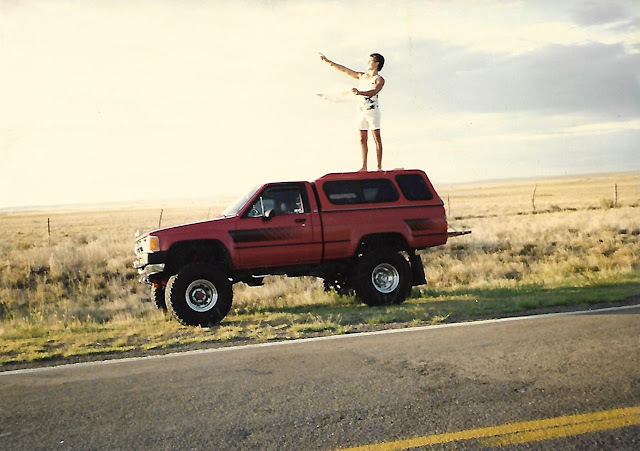 In September of 1989, my brother drove from New York to Arizona in his little Toyota pickup truck with the big, overinflated wheels. He was 21 years old. This is a picture of him somewhere in New Mexico, holding a map, looking west toward the setting sun.